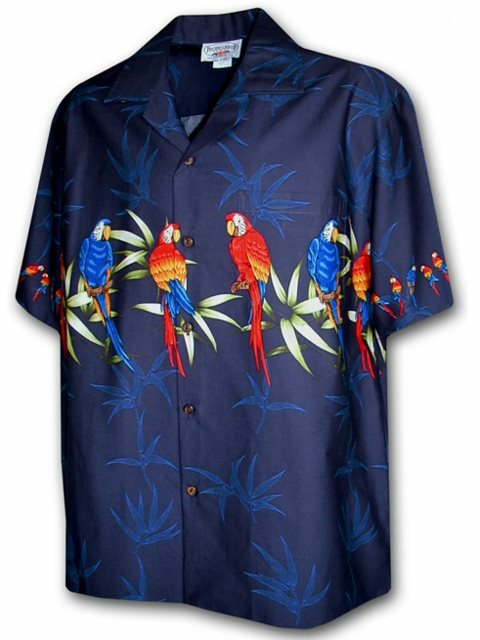 This beautiful navy Pacific Legend parrot Hawaiian shirt is a classic 100% cotton Aloha shirt. The designs on these shirts are matching across the chest where the buttons are. There is also a pocket on the upper left chest. There are many other designs and colors available in this style, so please check them out as well! My husband loves this shirt! Everybody wants to know where I bought this good looking shirt.